Eleventh? Where has all the time gone? Seriously? The perfect way to end your summer, Bloggers United continues their mission to bring together your favorite fashion bloggers in one venue this coming Saturday, May 28, from 10am to 7pm, at Green Sun Hotel, Makati. This time around, BU’s partner is no other than Passion Fly by Karl Edward Bazaar, a name synonymous to good buys, great deals, and the best urban shopping events in the country for fifteen years! This team recognizes the need for creative and curated goods online and offline by the best shops, entrepreneurs, and even celebrities and bloggers. There will be exciting activities, games, and cool prizes from their sponsors. Since it’s going to be a back-to-school affair, make sure to dress-up in Preppy Pastels to get spotted by their official photographer! Tickets will be sold at Php 100 during the event BUT if you want to get in for free, just tweet me and I'll give two passes each to five peeps! See you at the #BU11xPassionFly bazaar! 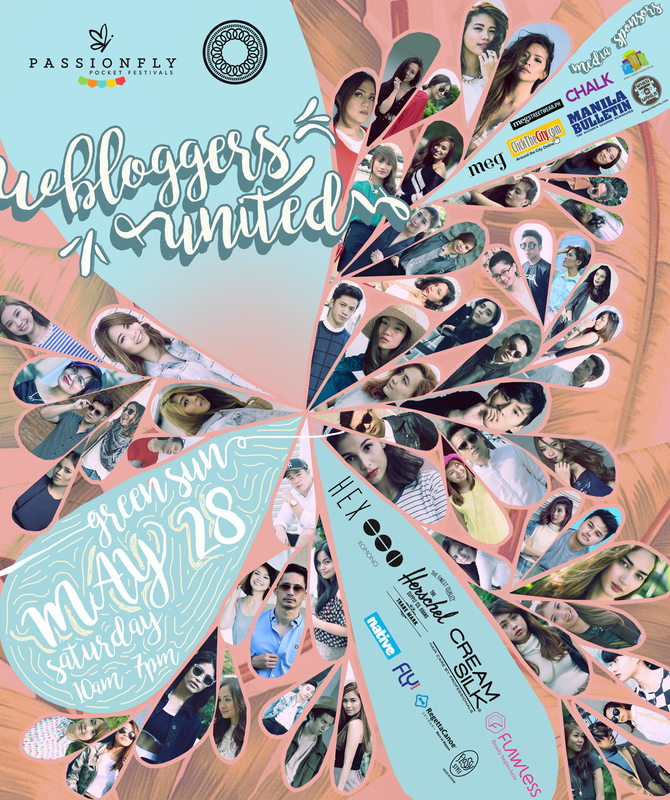 For more information and updates, like Bloggers United Philippines on Facebook or follow them on Twitter and Instagram. The official hashtag is #BU11xPassionfly. For more information about Passion Fly Pocket Festivals and rates and schedules, visit them on Facebook and Instagram. They have upcoming bazaars on June 18-19 and July 16-17 also!